Getec Industrial is your one-stop-shop for turnkey heat sink manufacturing services. 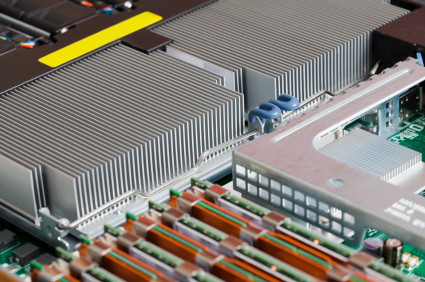 We have been supplying heat sinks and other thermal management solutions to the semiconductor, power supply manufacturing, LED lighting, amplifier, and IT hardware industries since the late 90’s. From the pure aluminum ingot that we use for our premium billet casting, to our aluminum extrusion process, we create aluminum extrusion heat sink profiles, to provide custom thermal product solutions that will meet your specific requirements. 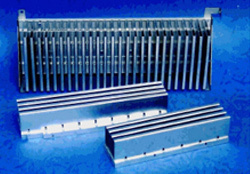 We can deliver heat sink extrusion designs with high fin-to-gap ratios, up to 35:1 consistently as well as in a variety of heat sink designs such as folded fin, crosscut, custom machined and much more. 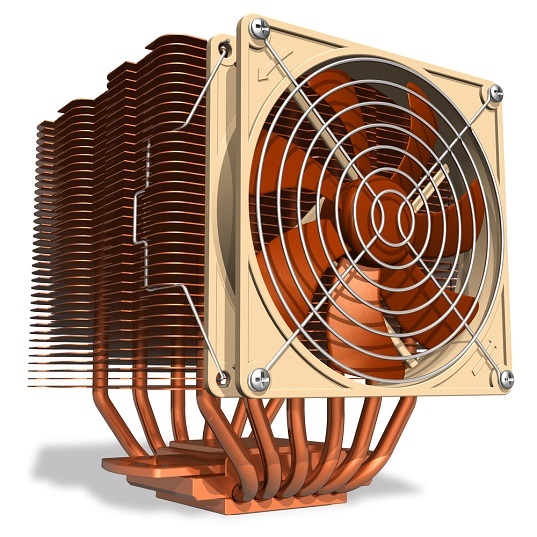 Need Help with a Heat Sink Design? 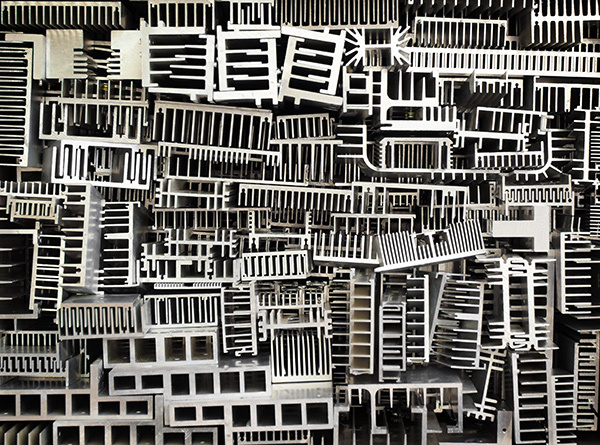 Because we deliver custom heat pipe bending services, we use a 20″ extrusion press, and as a result we can produce larger sized custom heat sinks for a wide range of applications. 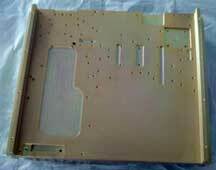 Getec also provides stir welding services for your cold plate and heat sink designs. Stir welding allows you to join smaller heat sinks together to produce a larger overall product. 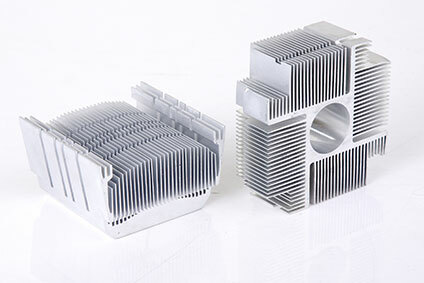 This example shows an extruded aluminum heat sink that has received value added machining to mount electronic components with different needs to this one heat sink. 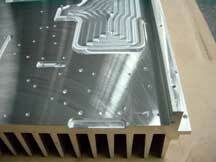 This extruded aluminum heat sink design also has value added machining. This is the same 20” precision heat sink design in the final stage after the RoHS-compliant finish has been applied to it. 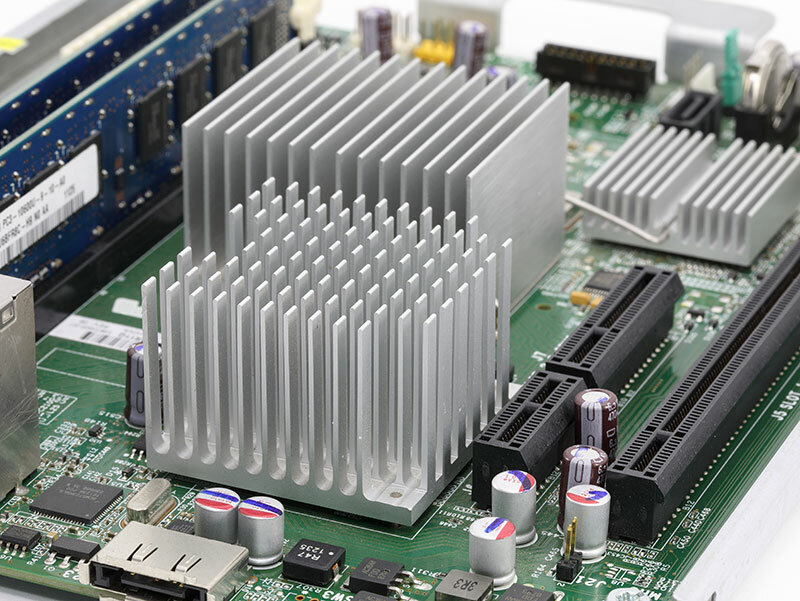 Aluminum extruded heat sinks are the most cost-effective solution for most electronic cooling applications. 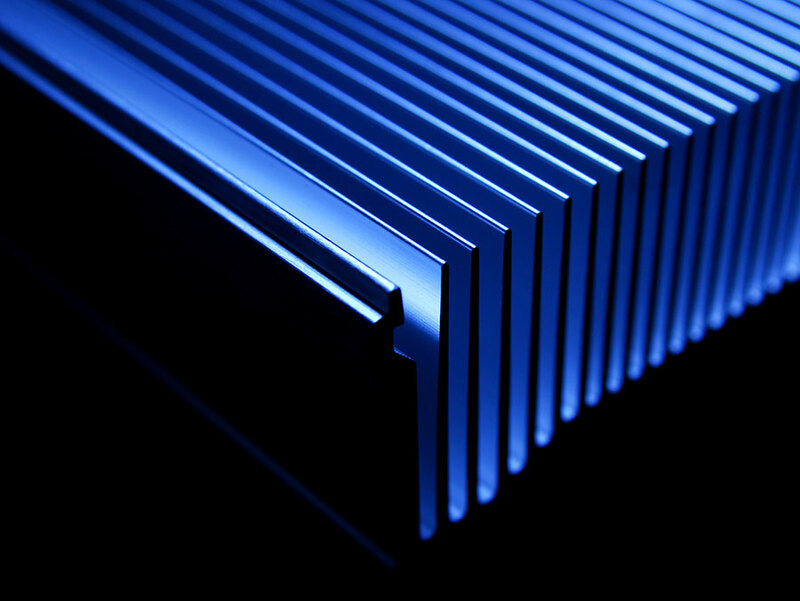 As extruded aluminum manufacturers, Getec customizes your heat sink design and extrusion profile to specifically fit your needs. 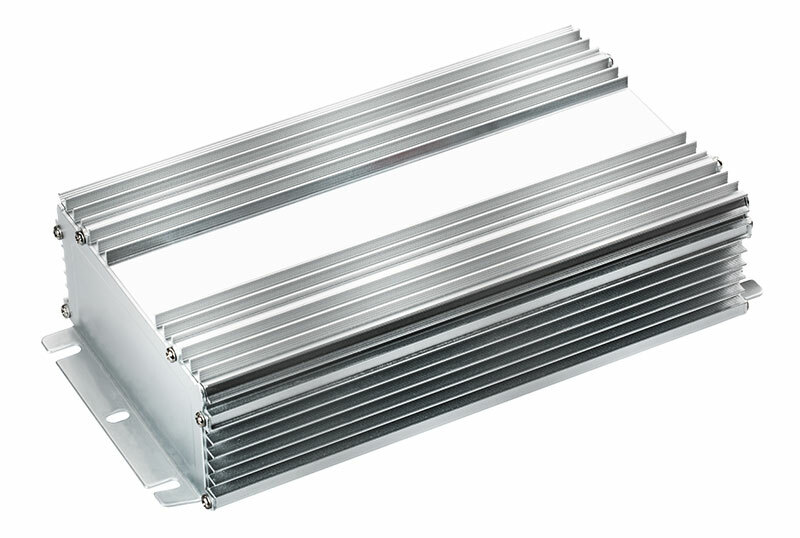 Extruded aluminum heatsinks are ideally suited for high volume productions. 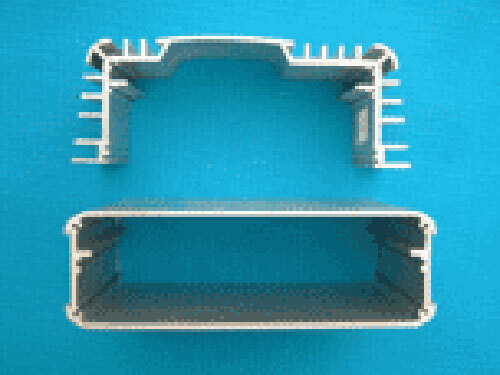 Additionally, when limited secondary processing is needed, extrusions can be a more cost-effective production option. 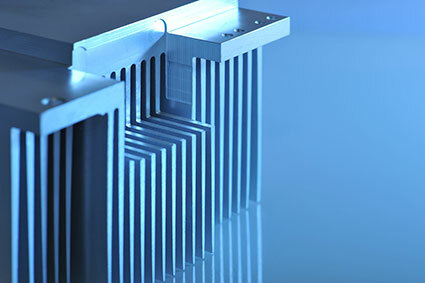 As extruded aluminum manufacturers, Getec designs and manufactures custom heat sinks and specific thermal solutions. 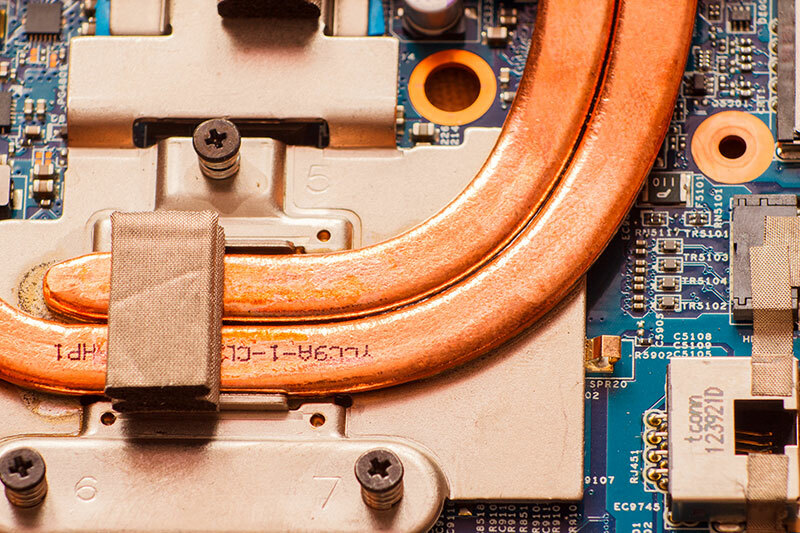 We provide tailored thermal management solutions that are optimized for each particular application. We will work with you throughout the development process to meet your cost and performance requirements. Die Casting is optimal for high volume heatsink production in high power applications where component weight is not critical. Getec uses in-house technologies, die cast prototypes, and as a result, rapid tooling can be completed without investing in hard tooling. We offer many options for casting such as gravity, die, and forging. Give us a call at 888-999-8499 to get the specific details. When looking for passive thermal solutions to remove heat from a small area to another area, a thin-fin extrusion might be the answer. 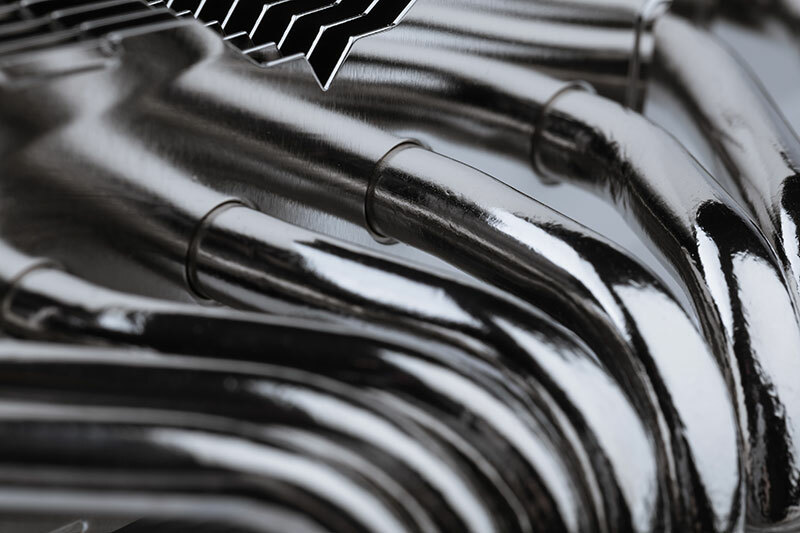 Thin Fin Extrusions provide an ideal combination of small package volumes and large surface areas for optimal cooling performance, and are often used in conjunction with heat pipes. 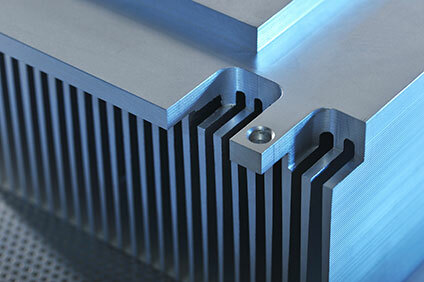 Extruded aluminum heatsinks are the most common thermal management approach to address heat transfer in electronics. 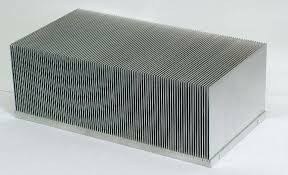 Most extruded aluminum heat sink manufacturers produce “commodity” products with less than 6:1 aspect ratio. Getec specializes in delivering high aspect ratio aluminum extrusion heat sinks with achievable aspect ratios starting at 20:1 and ranging beyond 30:1. 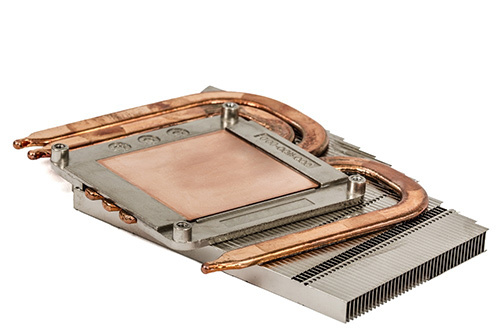 Our use of premium-grade aluminum billet allows us to achieve high aspect ratios that our competitors simply cannot match, making Getec your specialty thermal management solution provider that goes beyond the standard “commodity” heat sink. 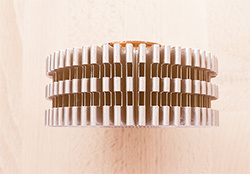 Getec produces stamped fin heatsinks from sheets of aluminum or copper, stamping them into a broad range of geometries and thicknesses based on the intended application for the heat sink. This flexible design is optimal for medium to high volume programs. Getec’s stamped fin technology offers an economical approach for producing high efficiency, lightweight heatsinks in small package sizes. 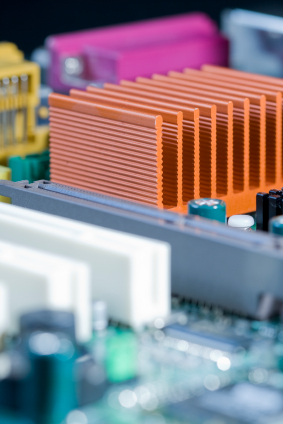 When used in conjunction with heat pipes, stamped fin heat sinks provide a superior thermal management solution for heat dissipation in electronic devices. 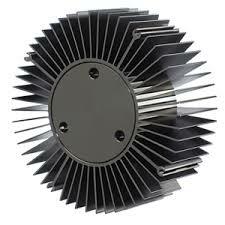 These heat sink designs feature higher fins attached by a thermal medium to the base for heat dissipation. Don’t see what you need here? We still can help you. Give us a call at 888-999-8499, email us at sales@getecna.com or complete our simple online contact form to reach out to one of our custom aluminum heat sink design specialists today! 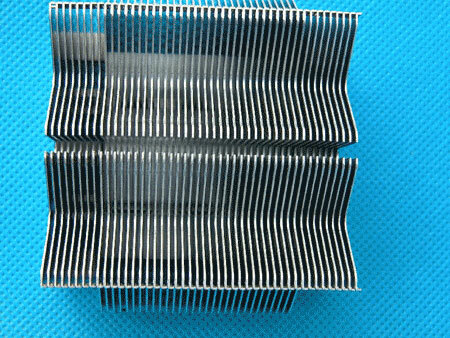 Most heat sinks require secondary processing (post production) and need to be cut and pressed. This typically includes machining of some sort. Because Getec can produce machined heat sinks from a solid hunk of aluminum, we can create complex shapes (geometries) that provide superior heat transfer in electronics. 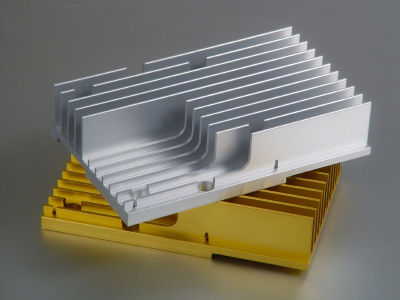 For most companies, machined heat sinks are costly and take a long time to produce, but because Getec is an aluminum extrusion manufacturer, we have considerable resources available for rapid prototyping and production. This allows us to create custom designed thermal management solutions for your specialized needs at a better price than our competition. This includes work for short run projects that many of our competitors will not even think about taking on. 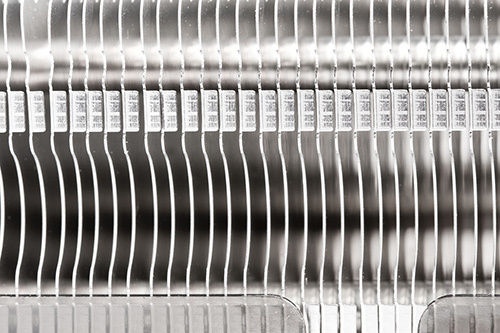 As one of North America’s leading aluminum extrusion manufacturers, our machined aluminum heat sink designs are perfect for your specialized needs. Please complete our simple online contact form, call us at 888-999-8499, or email us at sales@getecna.com to get more information. 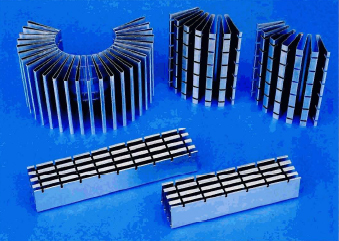 Our impact aluminum extrusion heat sinks use a large, high-tech vertical extrusion press to produce them. This method, also known as precision forging, allows us to create complex aluminum extrusion profiles that no other company can replicate. 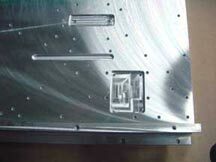 Precision forging uses special open die tooling and intense pressure to form thin-sectioned, high precision heatsinks. 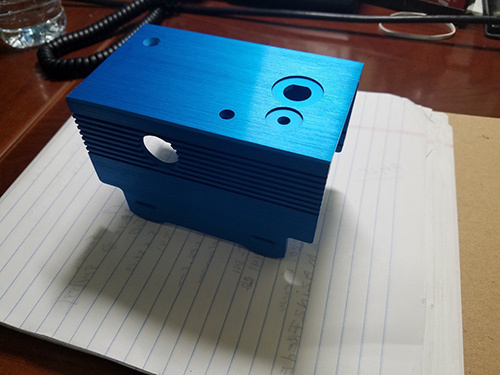 This allows us to achieve high aspect ratios with the ability to accommodate fin thicknesses as thin as 0.020” and fin heights over 1” tall for the same base size. 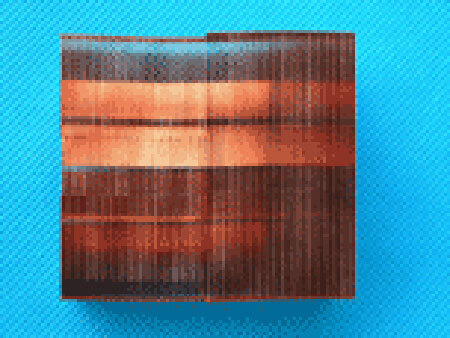 Copper inserts may be incorporated into the base for more effective heat spreading. We have over 20 years of experience with forged heat sinks and use premium grade aluminum billet cast in our own facility. This allows us to create aluminum shapes that our competition–who uses commercial grade aluminum billet–can’t match. 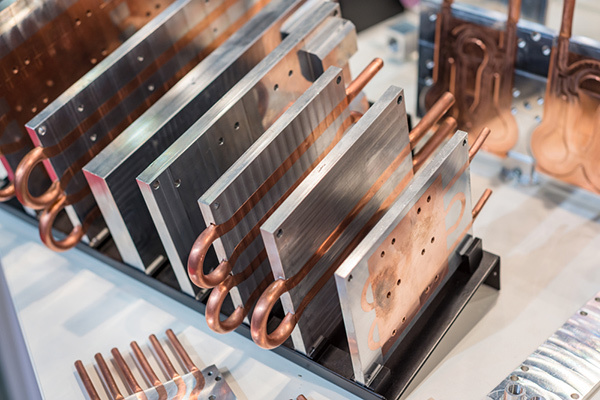 When we put these custom aluminum profiles to work, they create superior quality impact extrusion heat sinks that meet your precise requirements. 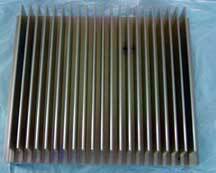 Need an Impact Aluminum Extrusion Heat Sink for Your Project? Call us at 888-999-8499, email us at sales@getecna.com or complete our simple online contact form to find out how we can bring your thermal management solution to life. 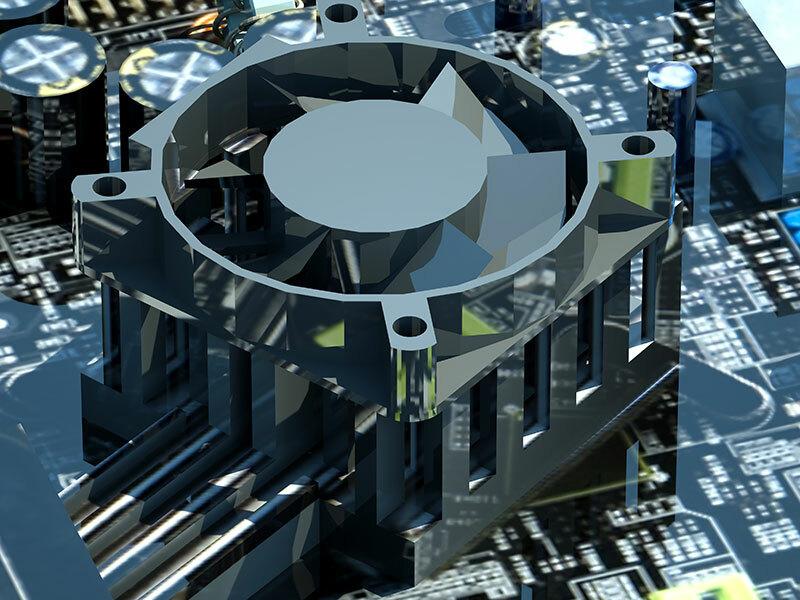 Getec produces active heat sinks that include fans that work in conjunction with the heat sink in applications such as microprocessors where managing the heat transfer in the electronics is critical to prevent damage to the delicate components. Getec prolongs the life of your electronic equipment products through innovative active thermal management solutions. Get in touch with one of our active heat sink engineers to create a thermal management solution that is perfect for your application by calling 888-999-8499, emailing sales@getecna.com or completing our simple online contact form. Getec has custom heat pipe bending equipment that allows us to bend our heat pipe into precise configurations that match your application and specifications as part of the overall thermal management solution. 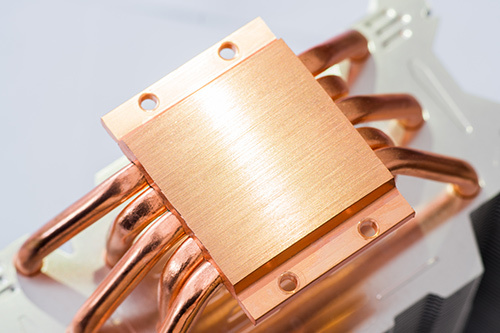 Heat pipes are a central component in many thermal management solutions, often used in conjunction with stamped fin heat sinks and many others. 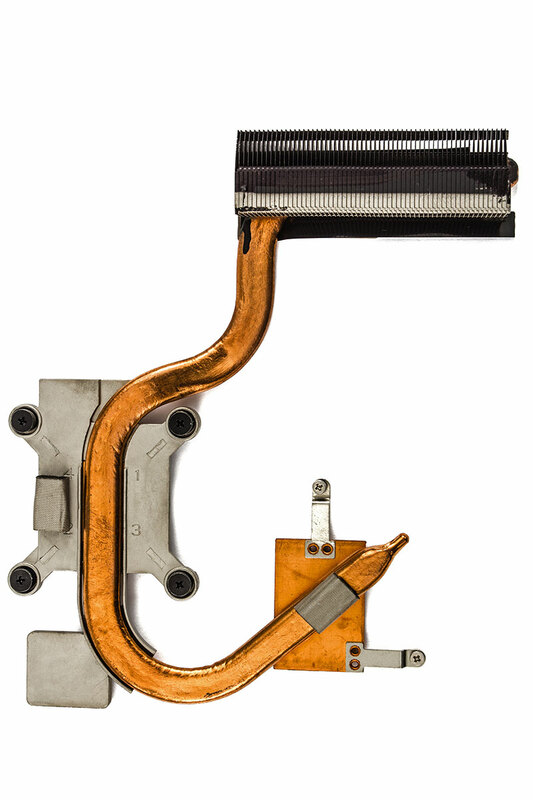 Need Custom Heat Pipe Bending as Part of a Thermal Management Solution? 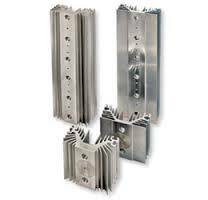 Complete our simple online contact form, give us a call at 888-999-8499, or email us at sales@getecna.com today! Extruded aluminum power supplies are becoming more common as desktop computers and other devices are looking for ways to manage heat transfer in electronics. 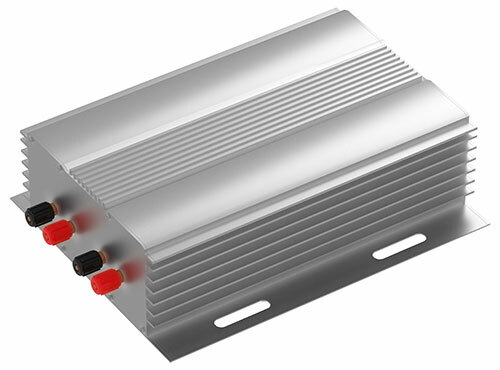 An extruded aluminum power supply features fins in the design to help radiate heat away from the sensitive electronic components within. 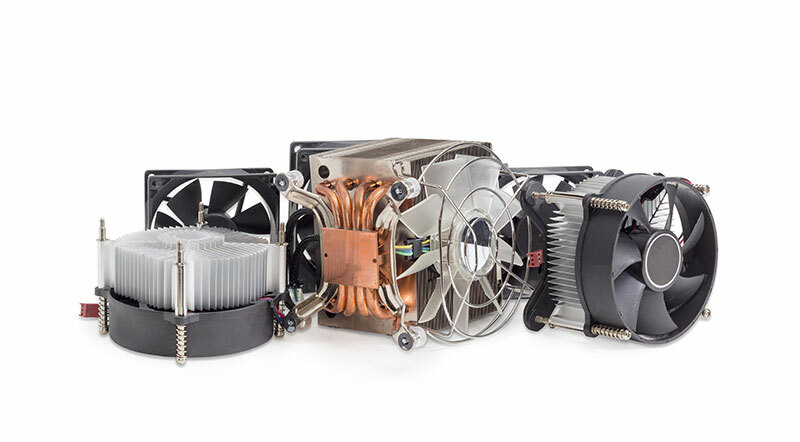 Getec provides superior extruded aluminum power supply designs based on our years of experience providing heat management solutions for many different industries. 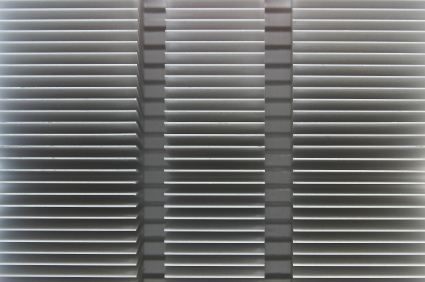 Our dedicated aluminum extrusion services gives Getec the flexibility to provide superior extruded aluminum shapes that would meet your specific power supply needs. Looking for Extruded Aluminum Power Supplies? Look no further than Getec Industries. Give us a call at 888-999-8499, email us at sales@getecna.com or complete our simple online contact form to reach out to one of our extruded aluminum power supply design specialists today. 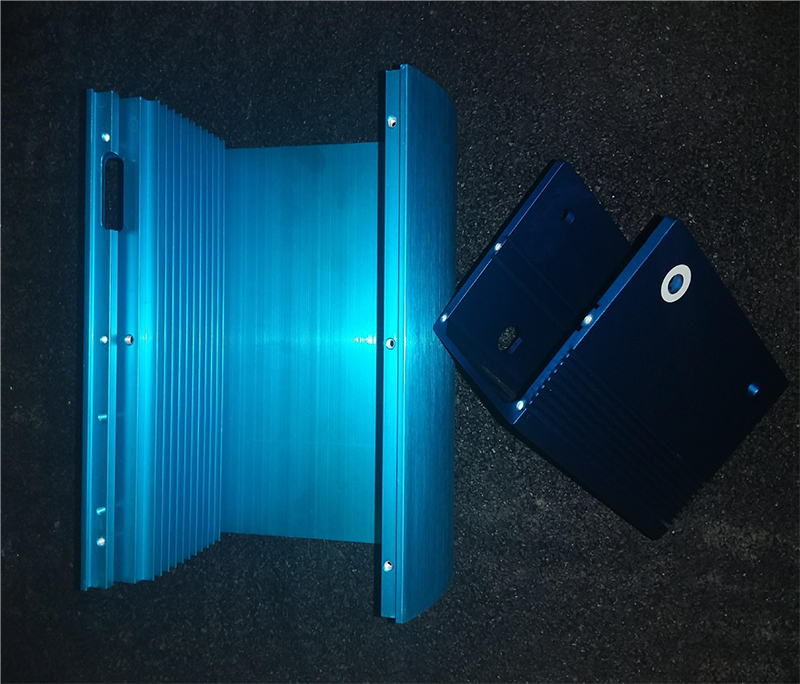 Folded fin heat sinks are created by bending a piece of aluminum sheeting in a fan or fin-like structure that can be soldered to an aluminum or copper base or used in conjunction with heat pipes which transport the heat to be radiated away by the folded fin heat sink. 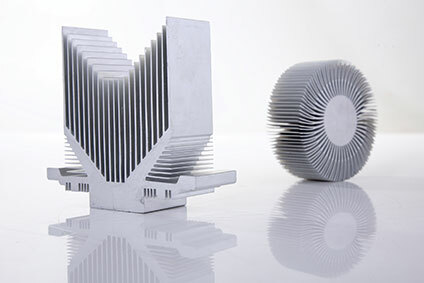 Folded fin heat sinks allow thinner fins than an extruded heat sink, are lightweight and increase the surface area for managing the generated heat. 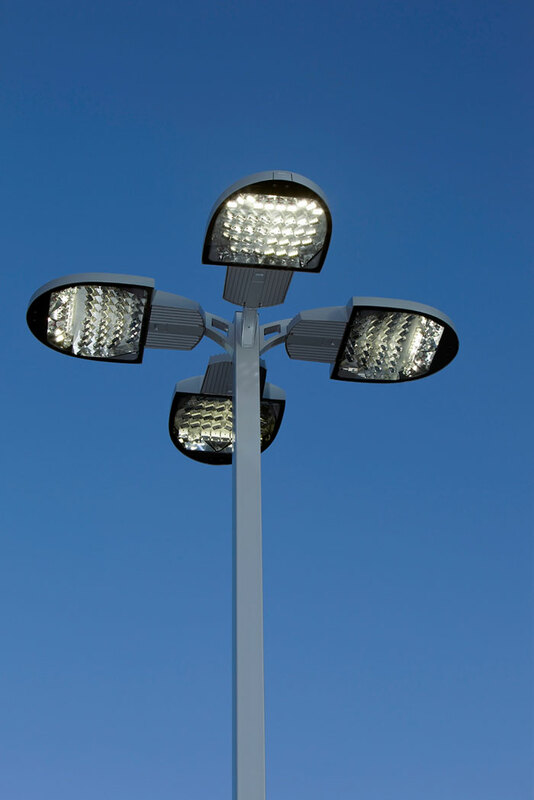 These are commonly used for custom thermal applications where it needs to very lightweight. With over two decades of heat sink design experience, Getec is the best choice when it comes to designing folded fin heat sinks for your thermal management solutions. Give us a call at 888-999-8499, email us at sales@getecna.com or complete our simple online contact form to talk to a heat sink design expert today. 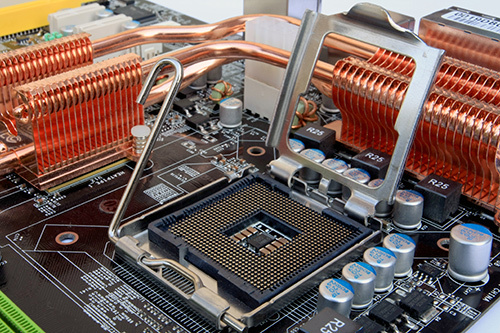 Getec Industries has been delivering world-class heat sink designs for over two decades now. Check out this gallery of just a sampling of what we can deliver to you. Then give us a call at 888-999-8499, email us at sales@getecna.com or complete our simple online contact form At Getec Industries, we are the heat sink design experts and can create a custom heat sink thermal management solution that meets your specific needs.